Motor vehicle accidents are terrifying and traumatic events. When a vehicle rolls over, the driver and passengers in the vehicle often sustain severe injuries, particularly to the head and neck. These serious car and truck accidents have a higher fatality rate than other accidents. Injured in a Rollover Auto Accident? If you have been injured in a rollover accident or lost a loved one due to the negligence of another, you need legal assistance. At Corsiglia McMahon & Allard, L.L.P., our skilled personal injury lawyers represent people who have been harmed in serious accidents, including rollover accidents. Contact us at to schedule a free initial consultation. You pay us nothing unless we obtain compensation for you. Notable Case Result: $600,000 for a Canadian citizen who was injured as a result of a rollover automobile accident which occurred in icy conditions just outside Reno, Nevada. A higher center of gravity means that SUVs and trucks are much more likely than other vehicles to be involved in rollover accidents. More than one-third of fatal SUV crashes involved a rollover, according to the National Highway Traffic Safety Administration. Vehicle design defects, as well as tire defects and other auto product defects, may have played a part in your rollover accident. Our firm has experience with complex litigation and product defect claims. We can help you identify the parties responsible for your injuries and hold them accountable for the harm they caused. When a vehicle flips over, passengers may be ejected or suffer fatal head trauma. The wrongful death of a loved one is a painful ordeal. By bringing a wrongful death claim, we help families bring the responsible party to justice, while also obtaining the compensation they deserve for their loss. We serve clients in and near the Bay Area, including the cities of Gilroy, San Jose, Santa Clara, Cupertino, and Milpitas. 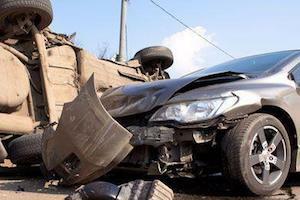 Our compassionate lawyers can help you move forward after a tragic rollover accident. To learn more about your rights and options, contact us at (408) 289-1417 to schedule a free initial consultation.